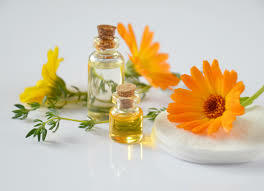 Aromatherapy uses essential oils to promote balance and health. Essential oils are a liquid containing the volatile aroma compounds from plants—often steam distilled, they are a potent concentration of the healing elements within a plant. Referred to as the “gem of the plant” or the “essence of the plant,” essential oils are a powerfully effective way to support the body and healing. Megan incorporates aromatherapy with her acupuncture practice either by using oils on the body in place of needles or by recommending points for you stimulate at home. Megan has studied and worked with essential oils for 20 years and has a vast knowledge of how you can use aromatherapy in your life to support various conditions. Megan has been sharing her knowledge of essential oils for years in a teaching setting and believes oils can help support our healing path in many ways. As with all adjunct therapies, you will work together with Megan to incorporate oils into your life based on you individual needs.